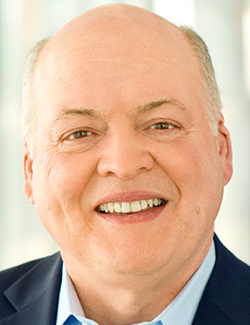 DETROIT — Ford Motor Co. has entered a new phase of its global reorganization under CEO Jim Hackett, one that effectively places its experiments in emerging technologies on equal footing with the automotive business that still generates the company's profits. The shift, which follows nearly two years of work to stanch bleeding overseas and in parts of Ford's North American operations, comes as Hackett insists the automaker is "turning the corner" after a mediocre 2018. Ford stock, though still worth about 15 percent less than when Hackett took charge in May 2017, last week climbed to its highest level of the year. "With what we've been seeing from a product perspective and the overall realignment of their strategy, they seem to have stabilized the traditional business," Sam Abuelsamid, principal research analyst at Navigant Research, told Automotive News. The next phase begins by reuniting the global markets and global operations duties that Hackett had previously divided between Jim Farley and Joe Hinrichs, appointing Hinrichs as president of automotive. Farley, who was the point person for fixing the overseas units, now will pivot to Ford's mobility efforts, attempting to turn autonomous-vehicle development and acquisitions of alternative transportation providers into a viable business model as president of new business, technology and strategy. Marcy Klevorn, who headed the mobility efforts while Hinrichs and Farley each ran half of the auto empire, is retiring in October. The new structure charges Hinrichs with racking up profits from the traditional business so that Farley can invest them on the future of transportation and ensure the company's long-term success. "They're going to require different approaches," Abuelsamid said. "It's almost like two different kinds of companies. Splitting it up in this way makes a lot of sense." The new title for Joe Hinrichs is president of automotive. Hackett's predecessor, Mark Fields, often described Ford's philosophy as having "one foot in today and one foot in tomorrow." But Ford's board of directors jettisoned Fields after losing patience with the pace at which the company was moving under him. Dealers and other stakeholders also grew concerned that Fields' regime wasn't paying enough attention to the "today" half of the strategy, jeopardizing profits and customers. Hackett has told Ford employees that 2019 will be a "year of execution," in contrast to the 2018 results that he said were best soon forgotten. The company is in the midst of paring its salaried work force in North America and internally has adopted the mantra "return to 10," referring to its goal of 10 percent North American profit margins. Part of that process involves eliminating sedans from its lineup because they make little or no money. Elsewhere, during Hackett's first 23 months as CEO Ford gradually laid out a plan that includes cutting workers, plants and products in Europe; exiting the heavy commercial truck business and closing a plant in South America; and separating China into a standalone business unit with new leadership. "With this strong foundation in place for our auto and mobility businesses, we can now accelerate our transformation," Hackett said in a statement last week. 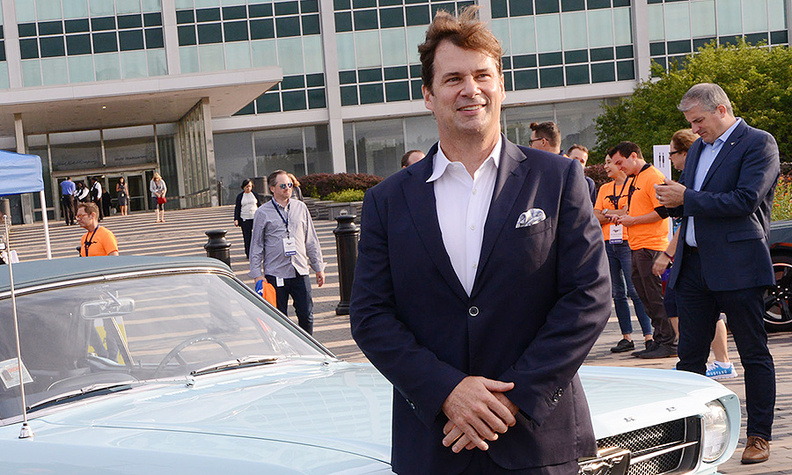 Jim Farley will oversee mobility. Farley, 56, will oversee strategy, Ford's Smart Mobility subsidiary, autonomous vehicles, research and advanced engineering, corporate partnerships, and global data insight and analytics. "Ford has a lot of good people leading on the tech side, but the other important part of all this is the business side and how you're going to sell this to consumers," Abuelsamid said. "A key component of this is the user experience. That's where Farley can provide some real benefit; he can bring some good approaches to how they try to sell these services." "Jim combines an innate feel for what customers want and need in vehicles and the ability to translate this into the vehicles and services of the future," Hackett said. 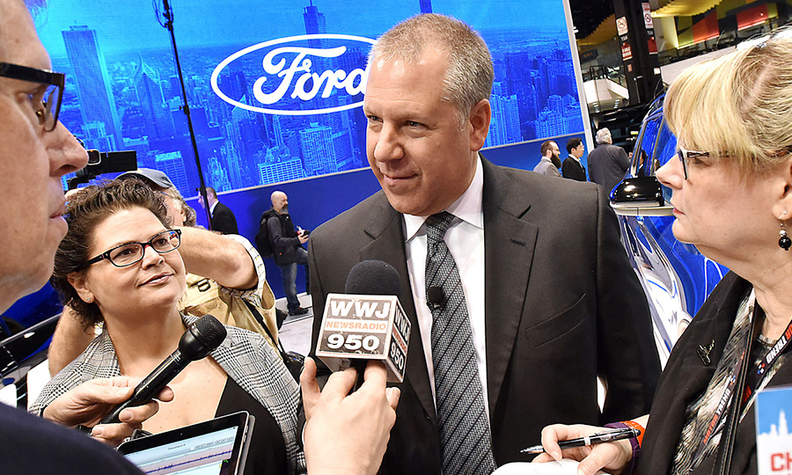 Meanwhile, Hinrichs, 52, has responsibility over Ford's all-important legacy business, including product development, purchasing, manufacturing, and marketing and sales, as well as the company's global business units: North America, South America, Europe, China and International Markets Group. "Joe Hinrichs possesses the knowledge, experience and leadership to now take our automotive business to world-class levels of product excellence, customer satisfaction, efficiency and financial performance," Hackett said. Separating today's automotive business from tomorrow's mobility efforts is not unlike what Ford's crosstown rival, General Motors, did with two of its top leaders. Dan Ammann vacated his role as GM's president at the start of 2019 to become CEO of its Cruise autonomous vehicle unit and oversee the launch of a public self-driving ride-hailing fleet this year. Mark Reuss then replaced Ammann as president, taking over the vehicle side of the business. "It is very similar," said Michelle Krebs, senior analyst for Autotrader. "They're separating today's business that's making the money from tomorrow's business that's requiring investment."